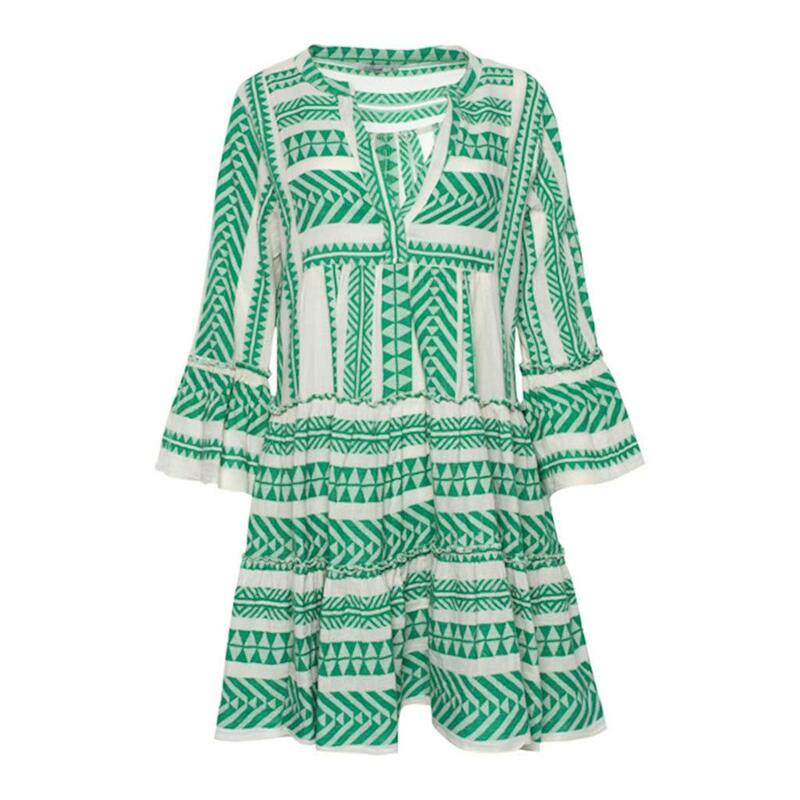 Ease into that vacation feeling with this charming dress. This piece has been woven from pure cotton and comes embroidered in a green shade for a bold look. A pair of platform espadrilles is the final touch. Green Devotion Embroidery Green Zakar Dress by Devotion.